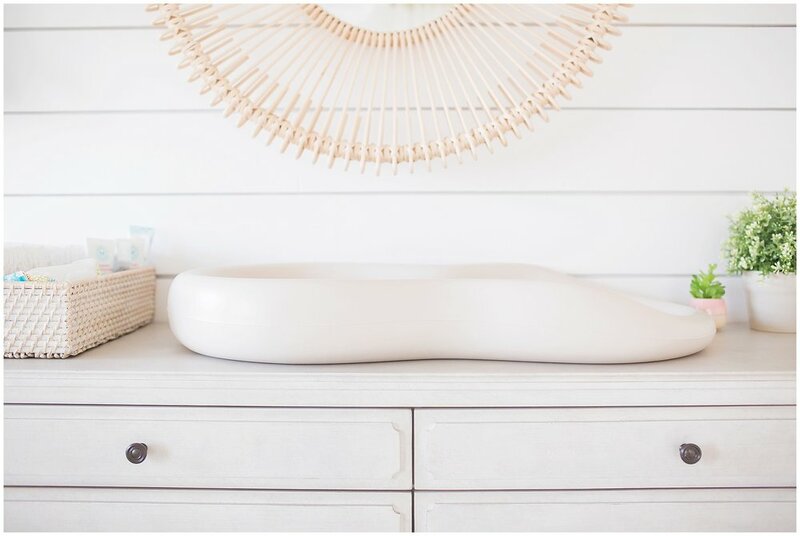 Our babies have been on the outside longer than they were on the inside at this point, so its finally time to take you on a tour of our gender neutral nursery! 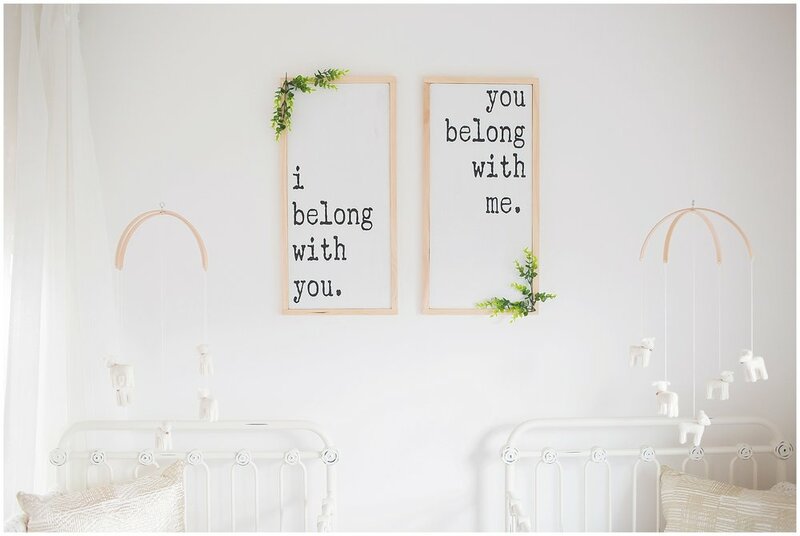 Because we had always planned to keep our baby's gender a surprise when we became pregnant, we knew a neutral nursery was in the cards. 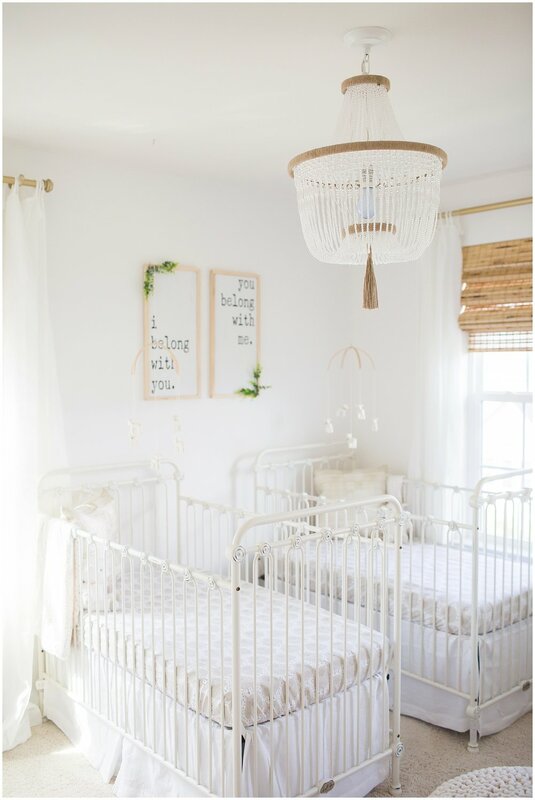 The challenge became making the space work for not only one baby but two! 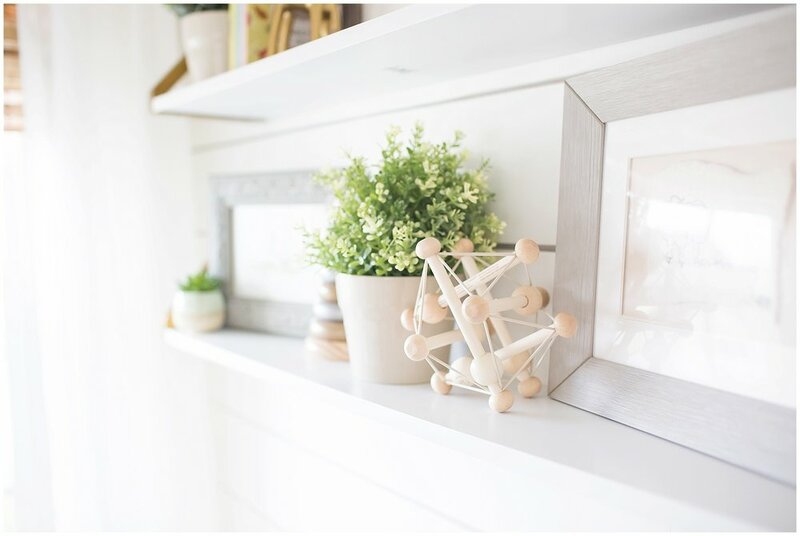 I gave my husband, Mark two ideas to take the nursery, one including shiplap (spoiler alert..Mark picked shiplap) and one including wallpaper. Since we spent too many weekends to count removing wallpaper from Mark's first office he wouldn't agree to putting it up in our, and shiplap it was! From there the room sort of fell together with a help from a inspiration board I had created, lots of Pottery Barn sales and gifts cards, a few things we spray painted that we had around the house, and of course many gifts from family and friends. 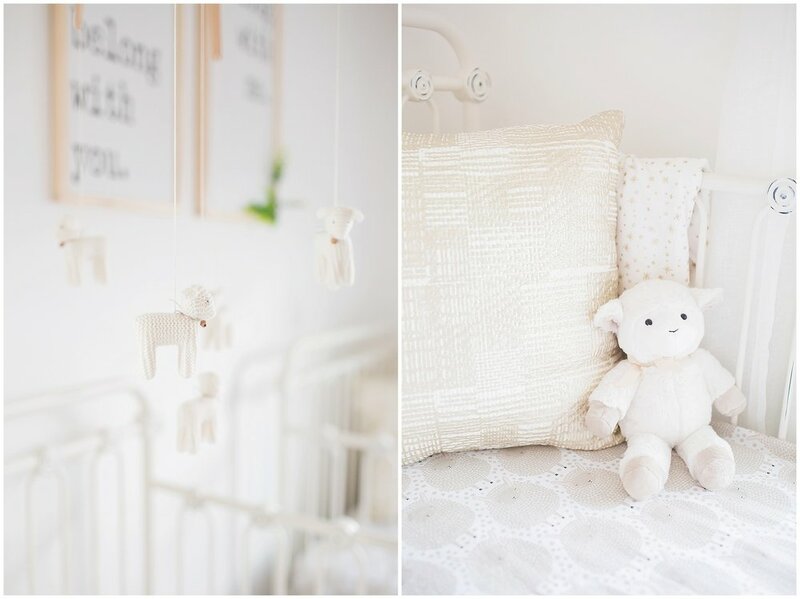 We never picked an official theme (I sort of resisted any "themes") but after getting a few stuffed animal lambs paired with my of my love for white, and some pops of green in the room I think everything tied together nicely and works perfectly for our boy girl twins. Its by far my favorite room in our house and the only room I wouldn't change a thing about it!